You can print on plain paper envelopes in this size: No. 10 (4.1 × 9.5 inches [105 × 241 mm]). Flip the feeder guard forward. Pull up the paper support and its extension. 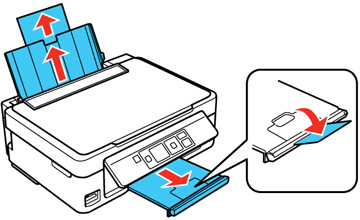 Pull out the output tray and open the paper stopper on the end. 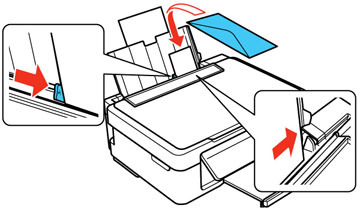 Load up to 10 envelopes against the right side. 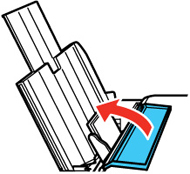 Load them printable side up and flap edge left. Slide the edge guide against the envelopes, but not too tightly. Flip the feeder guard back. Do not load envelopes above the arrow mark inside the edge guide.